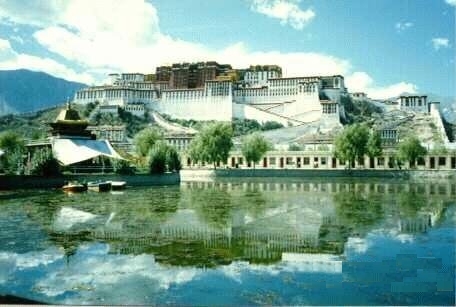 It is the palace of Dalai Lama in Lhasa (Tibet). It has thousands of rooms and built in the later 18th century on top of the ancient structure. Perched upon Marpo Ri hill, 130 meters above the Lhasa valley, the Potala Palace rises a further 170 meters and is typical of Tibetan Buddhist monastery.